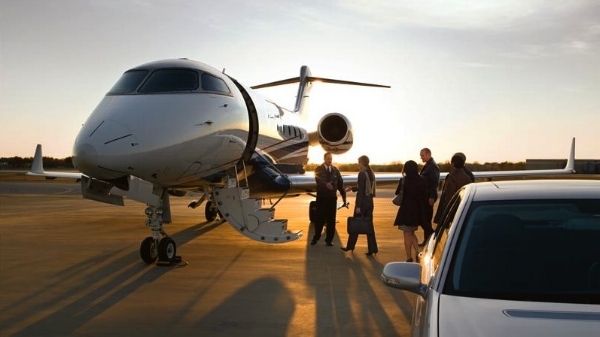 As your trusted air charter partner, we do the heavy lifting so you don't have to. Since 1946, STM Charters has grown to be the industry leader in providing meaningful travel related solutions for sports teams, corporations, executives, entertainment tours, and group and leisure travelers. STM Charters fulfills over 1,000 charters annually, moving in excess of 38,000 passengers on aircrafts ranging from single engine turboprops to wide body jet airliners that seat over 400 passengers. Our business model integrates years of industry expertise and unparalleled customer service with relationships built on transparency and trust. We strive every day to exceed expectations and offer services and products that elevate your air charter experience. Our clients have a wide variety out of the ordinary air charter needs. We would love to work with you to find creative solutions to streamline your travel planning. Our most important policies are your privacy and security when utilizing our air charter services. That's why you will never see STM Charters promoting Colleges, Universities, or any clients on or website and marketing materials. We promote our unique brand of service and customer experience by being who we are, and by exceeding your expectations one trip at a time, every time. Furthermore, the private charter carriers we utilize take the priority of safety to the next level by having ARGUS International (an independent auditor) do on-site safety audits. The ARGUS CHEQ (Charter Evaluation and Qualification) program was developed over a decade ago as the most accurate and detailed third-party due diligence system for charter operators, buyers and passengers around the world. This system has three major components: historical safety rating, current aircraft and pilot background checks, and on-site audits. With charter aircraft strategically located, we are able to offer charter aircraft that can accommodate any size travel party. All charters through STM are operated by FAA Certified Part 135 and Part 121 air carriers. Click through to find some of the most commonly used aircraft. Will seat up to 19 passengers that come in a wide range of luxurious configurations. Will seat between 30 and 70 passengers and have a range of short to medium-haul capabilities. Will seat between 120 and 474 passengers and is capable of medium to long-haul flights. Please complete this form and one of our air charter consultants will be in touch with you shortly. Please provide number of passengers, departure dates, preferred airports and special requests if any.